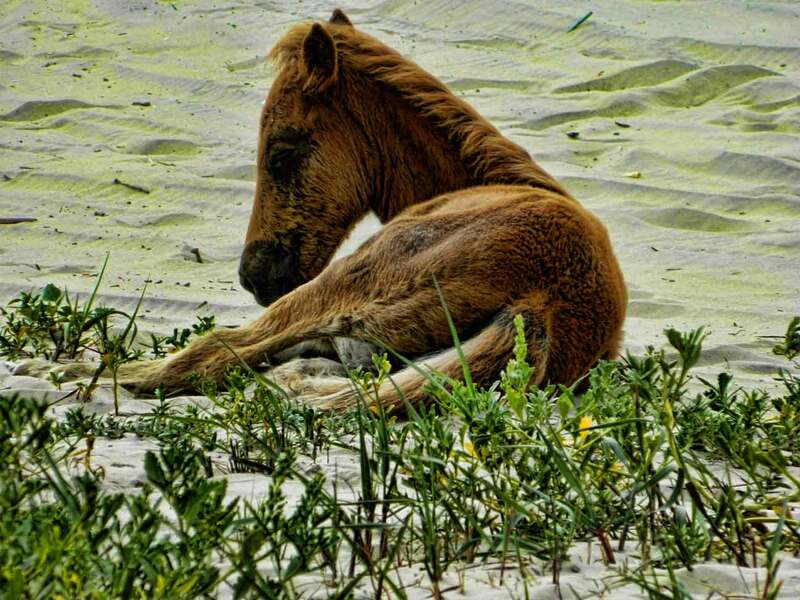 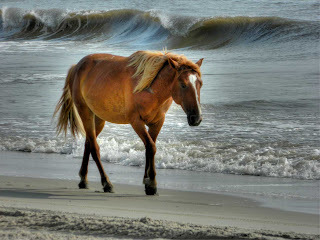 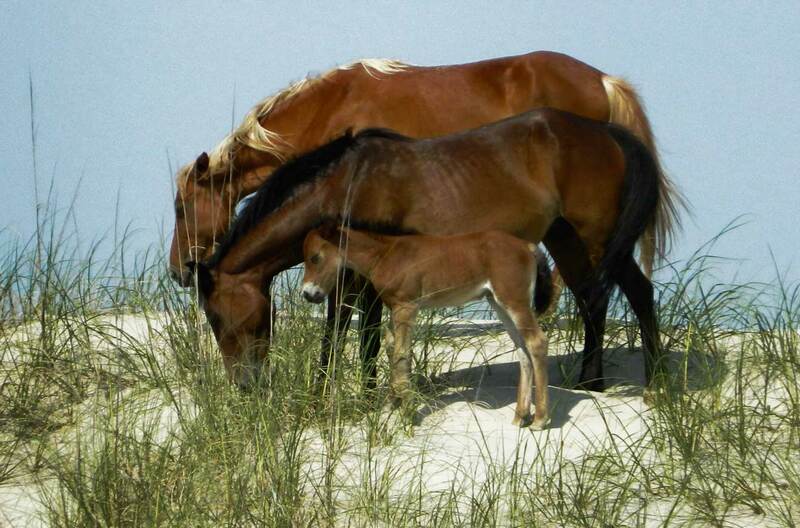 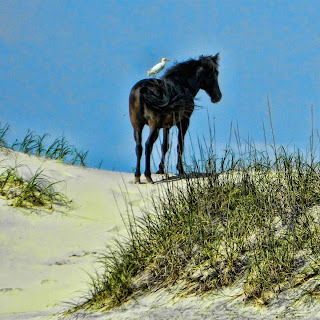 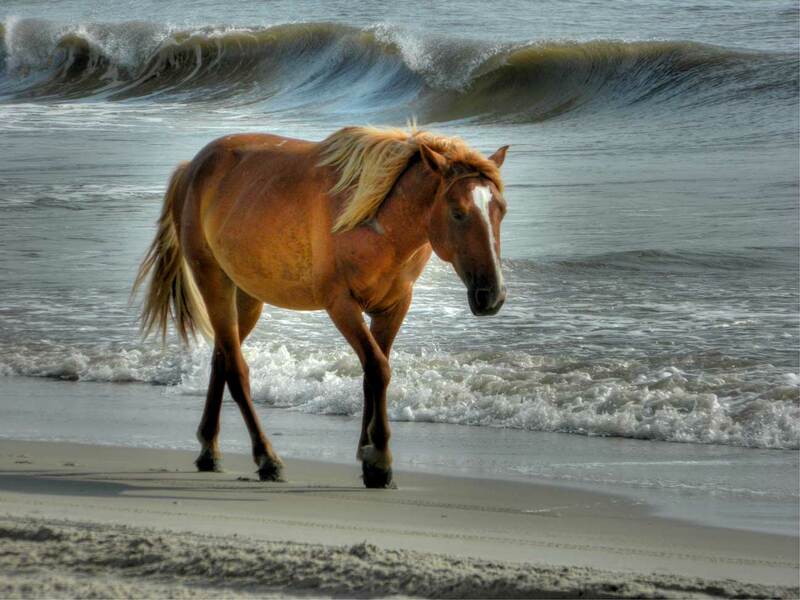 Ponies roam free on the Outer Banks of North Carolina. They have an affect of nonchalance supported by law that states they have the absolute right of way. 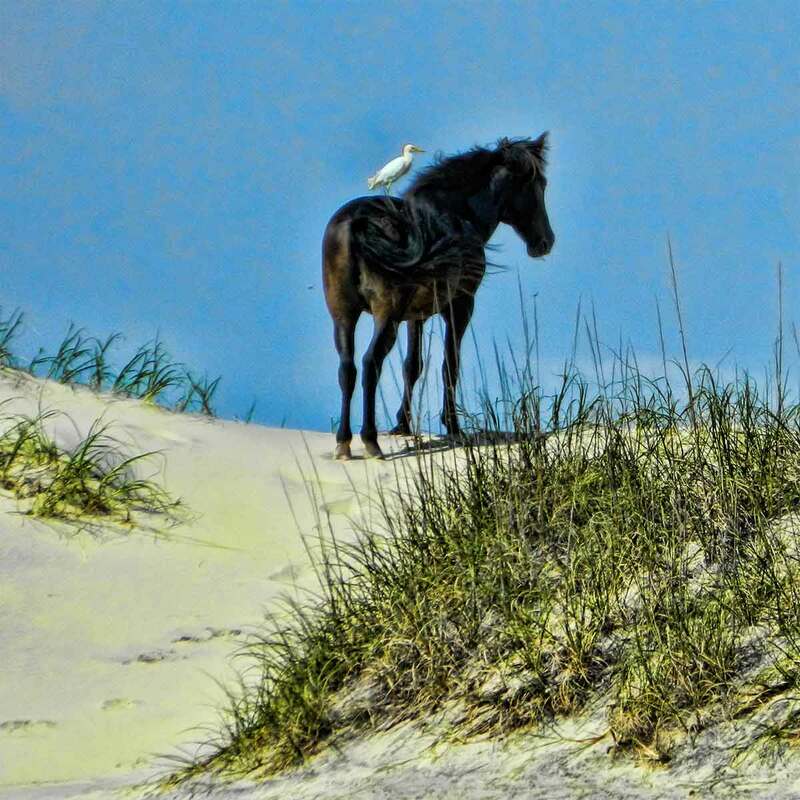 From the surf and dunes to finding shade in carports, family units called harems, exhibit companionship, protectiveness and sometimes fierce loyalty.